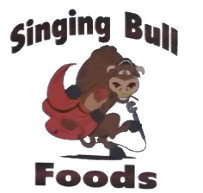 Singing Bull Foods in Hohenwald, Tennessee, uses fresh ingredients to create chow-chow and sweet pickle relish. Our relishes are preservative-free. More flavors will be available soon. Put a twist of flavor to everyday food such as hotdogs, cooked beans, and burgers. The sweet pickle relish produces a rich taste since we do not cook them in big batches. It is available in half-pint glass jelly jars. From beans to pork ribs, your dishes will be more appetizing with our chow-chow relish. It is available in glass jelly jars by the pint. Contact us in Hohenwald, Tennessee, to indulge in dishes sprinkled with sweet pickle relish and chow-chow relish.